We are located in the foothills of the Great Smoky Mountains. I have always wanted to open a little shop somewhere, but never knew quite what to sell and where to do it. The years passed and I never had the guts to make the leap until my husband and I took a trip to East Tennessee in 2009. I was enamored but the majestic mountains, mild weather and clear blue skies. 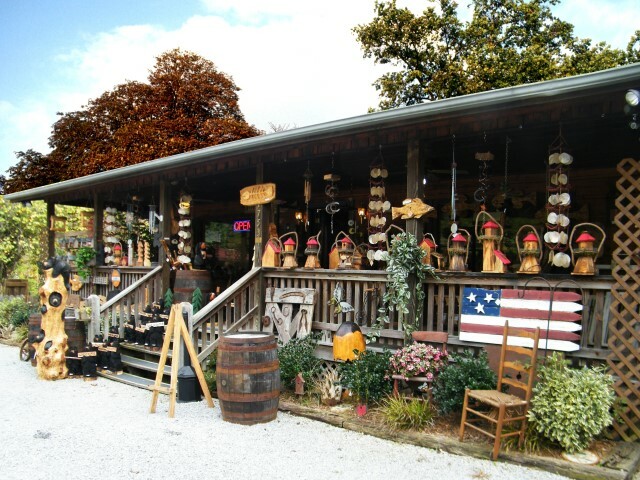 We opened our little store in 2010 in a cute little log building located on Wears Valley Rd. about 3 miles away from the hustle and bustle of Pigeon Forge, Tennessee. Close enough to not be too far...if that make any sense. Now, years later, we are still proudly offering affordable, handmade products. If you plan on visiting this beautiful area, stop in and meet us!